Buy 6YL- 165A soybean/peanut/sunflower seed combine oil press with vacuum oil filter - Shandong Microwave Machinery Co.,Ltd. This system collects the pressing, electric heating for preheating the pressing chamber, crude oil filter in one body, which is the earliest,new type of combination of oil press. 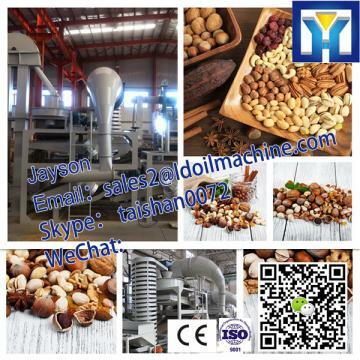 1.Adopts electric heating coil to automatically pre-heat the pressing chamber before squeezing ,easily meet the the temperature of the oilseeds pressed for energy-saving, and it automatical controls the temperature confirmed . 2.Adopts the vacuum pressure method to filter the crude oil through the cloth filter,also adopts the electrical coil to heat the crude oil before filtering. The final filtered oil is clearer, and meets the national standards for the edible oil. Suitable for the small and medium-sized Veg. 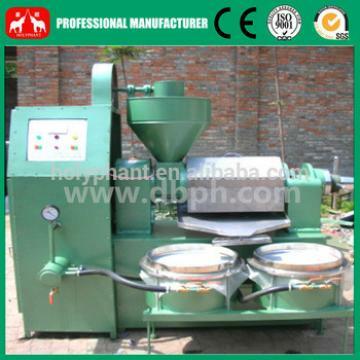 Oil Factory and individual user, also be used for pre-pressing for the oil extraction plant. Suitable for the processing of various kinds of vegetable oil-bearing crops,such as the rapeseed/canola, peanut kernel, soybean, olive,walnut kernel, maize germ, rice bran, teaseed, sallow thron seed, chinaberry seed, rubber seed, china pepper seed, tomato seed, water melon seed, grape seed, flax seed, Oenothera seed, pepper seed, castor seed, orange seed, cocoa bean, coffee bean, perilla,almond kernel,peach seed kernel,etc. transmission parts and vacuum filtering parts. output one milion sets single machine and annual complete equipment are more than 50 sets. Please feel free to contact us for further information. With the rapid development of the society, we will insist on our own belief firmly. We are sincere to do business with our customers with excellent quality, reasonable prices, the best services and high reputations. 1.Technology Strength: nearly one century's history of manufacturing machinery,has a very valuable experience in manufacturing and technology services. Ensure every machine perfect. 2.Perfect After-sales Service:We have a professional service staff, and timely communication with the user, so that each machine is a "hen"lay eggs to make money. 3.Preferential Price:Company specialized production, large product yield and low cost; adopt modern management techniques and tools to maximize savings cost for the user to save every penny. 4.Good Reputation:Through the company's one century of efforts to make our products in Africa, Asia, Europe, America has an unparalleled reputation. 6yl- 165a soybean/peanut/sunflower seed combine oil press with vacuum oil filter from shandong microwave machinery co.,ltd. 6YL- 165A soybean/peanut/sunflower seed combine oil press with vacuum oil filter, can be used to break various kinds of oil crops and the cake has been broken. Shandong Microwave Machinery Co.,Ltd.is a seed dehulling machine factory specializing in the production of 6YL- 165A soybean/peanut/sunflower seed combine oil press with vacuum oil filter, scientific research,manufacturing,installation, commissioning.Shandong Microwave Machinery Co.,Ltd.can provide seed dehulling machinecustomers with design and services of 1-2000 tons 6YL- 165A soybean/peanut/sunflower seed combine oil press with vacuum oil filter. Shandong Microwave Machinery Co.,Ltd. have finished hundreds of successful projects seed dehulling machineover the years: peanut oil, soybean oil, rapeseed oil, cottonseed oil, sunflower oil, sesame oil, animal oil,grape seed oil, acer truncatum oil, peony seed oil, walnut oil, hemp seed oil, pine oil, tea seed oil, papaya oil, milk thistle seed, and other special type seed dehulling machineoil. Shandong Microwave Machinery Co.,Ltd. have independent import and export department. Shandong Microwave Machinery Co.,Ltd. seed dehulling machineequipment has been successfully exported to more than ten countries: Russia, Australia, India, Afghanistan, Cameroon,and so on.